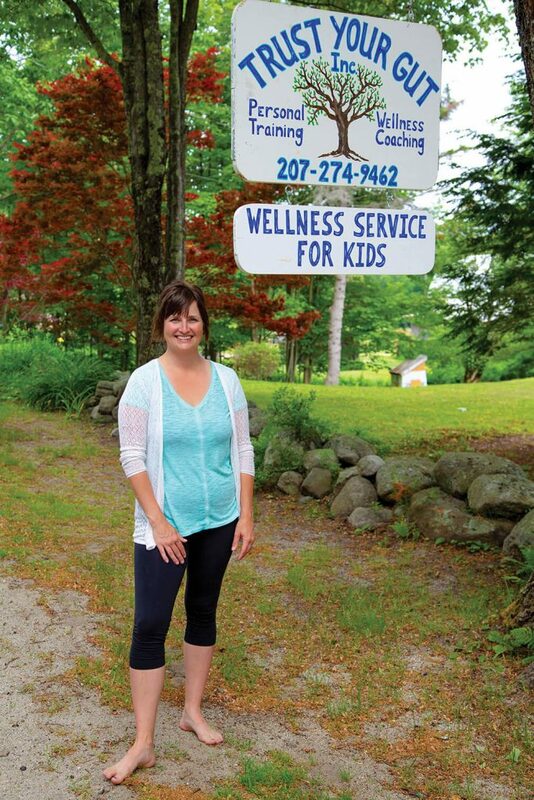 Kelly Taxter works to help kids and teens heal their minds and bodies. The Yarmouth native and licensed clinical social worker spent nearly a decade counseling families in their homes, but she started to feel that the work wasn’t effective. “It was hard to get the buy-in from children because of the stigma associated with needing and getting help,” she says. The traditional model relied on children needing a diagnosis to receive her counseling, which Taxter says further stigmatized their ability to receive help. To Taxter, the system seemed broken. Two and a half years ago, she chose to trust her gut and help kids—from kindergarteners to college students—in a different way. Taxter grew up in Yarmouth and left Maine to attend Lynchburg College in Virginia and earn her B.A. and a master’s in education in clinical mental health counseling. It was in Virginia where she counseled families for close to 10 years, but she found herself burning out. In 2012, she made the decision to return to Maine to be closer to her family and start a family of her own. She also pursued a certification as a personal trainer and wellness coach and began focusing on a holistic and alternative model to tackling the challenges she saw adolescents facing. 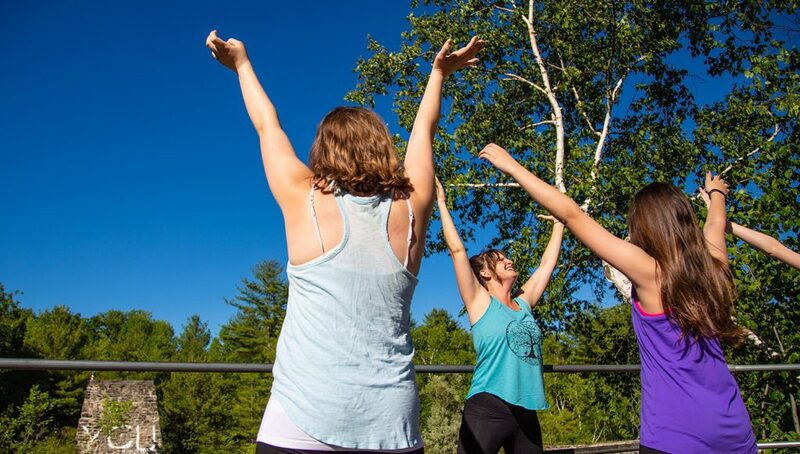 Taxter’s approach integrates mental health counseling and mindfulness practices with nutrition, art therapy, outdoor movement and physical training. 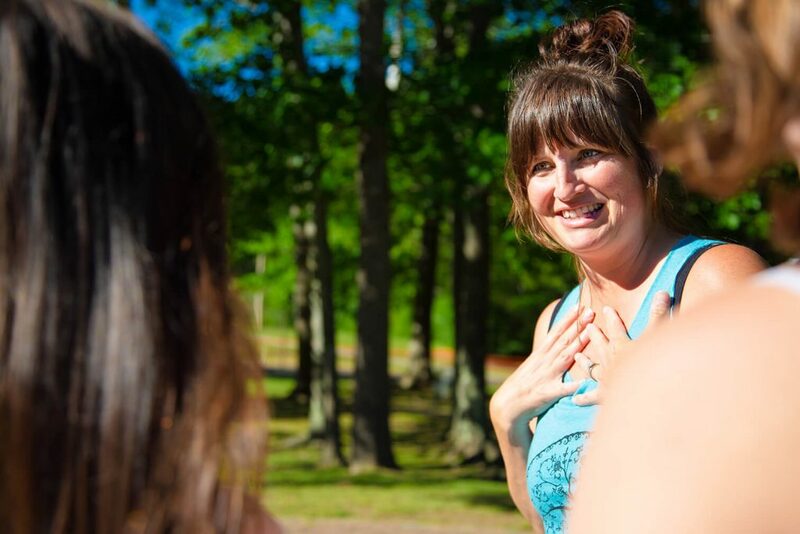 She does business out of her home in Cumberland, where the indoor/outdoor learning space includes an outdoor vegetable and wildflower garden, a nature trail and a Zen board used as part of art therapy. The water-absorbent board is painted on, and the image fades as it dries, representing impermanence and being in the moment. At Trust Your Gut, traditional terms are rethought. The kids and young adults Taxter works with, who she calls “students,” refer to her as a “mentor, coach or life guide” not as a “counselor,” and the focus is on their “wellness journey” rather than on treatment. Trust Your Gut’s wellness Journey is broken down into four core concepts: My Story, My Body, My Voice and My Tribe. 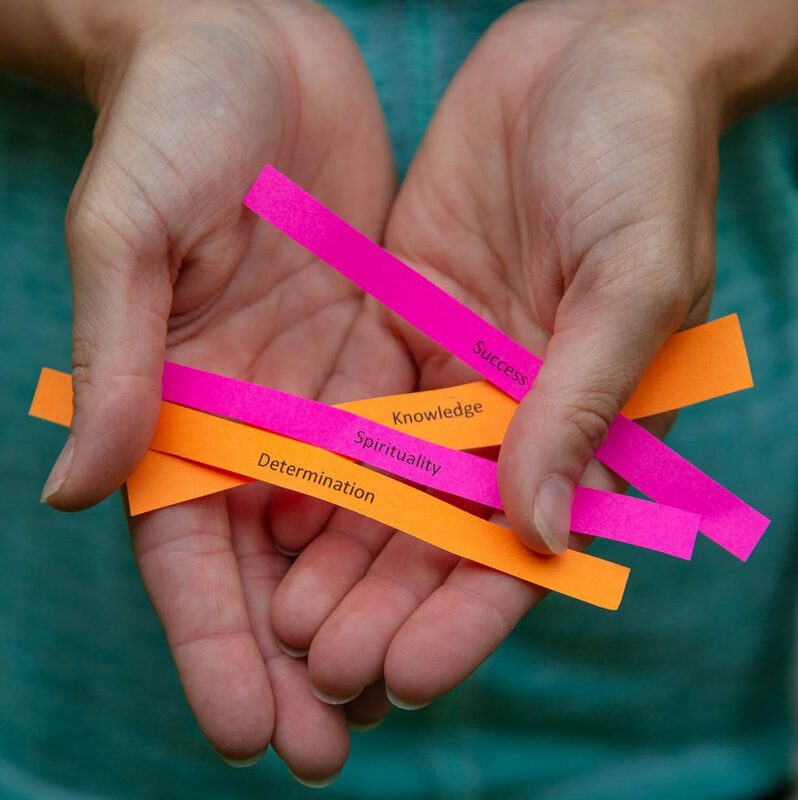 “Everyone has a story that they repeat and hold onto, so it helps them identify what memories and experiences they are identifying with and consuming,” Taxter says. The goal is for students to notice patterns they’re holding on to that aren’t serving them. My Body helps students treat their bodies with kindness and movement and nutrition, while My Voice focuses on helping them find and use their voice to express themselves. “My Tribe is taking what you’ve learned about yourself and realizing you have more power than you think. A lot of the students see themselves as stuck in certain social groups and patterns, but they have the ability to choose where they put their energy.” Altogether, the four pillars help students grapple with the challenges they face during an often tumultuous time in their lives. The work she’s doing is both tangible and rewarding, Taxter says. One teenager Taxter worked with was able to realize a negative pattern she had with boys and relationships that often became physically abusive. Another teenager, who struggled with severe anxiety and depression and left school to be homeschooled, was able to return to school and be successful. Taxter also frequently sees teenage girls struggling with body image, and her approach is to reframe their mentality around “being strong and healthy” and integrate a holistic approach to wellness and nutrition. Taxter attributes Trust Your Gut’s growth and success to Facebook, which is ironic considering she is not an avid social media user. “I usually like to fly under the radar, I don’t like having the spotlight on me,” she says. One of her greatest challenges has been “putting herself out there” on social media. “I have had to become comfortable with making videos and letting my personality show in order for the business to grow,” she says. “I do the same things I ask of the kids: to work through something that is uncomfortable. Usually some really solid breathing/centering, a few ‘energy bursts’ (I do a lap around the house if I start to get frustrated) and acknowledging that I did my best,” she says. For more information, about Trust Your Gut Inc., go to maineadolescentwellness.com.